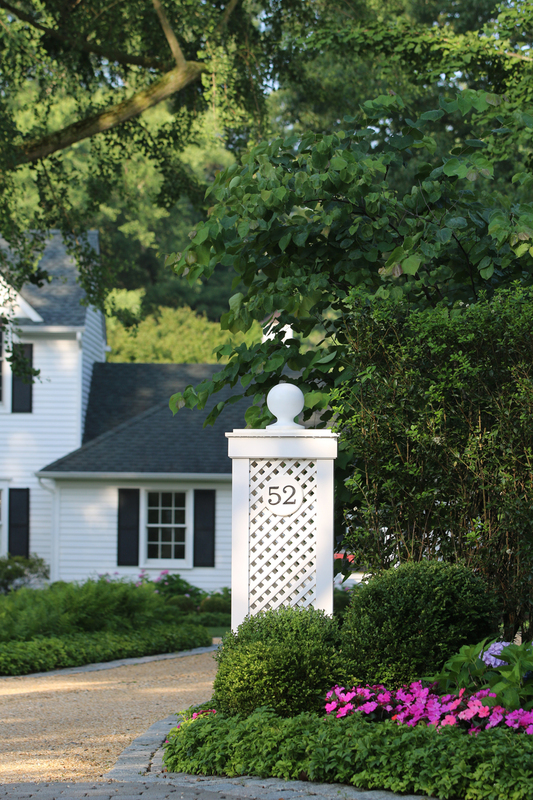 Sometimes an updated landscape can give an older home a fresh, new look. A simple plant palette of boxwood, hydrangea and fern make up the majority of plant material with this design. Beige pea stone gives new life to an old driveway while custom designed entry piers define the entrance.